Weekly and monthly classes are held at The LoveLight Center, the home of the new energy healing modality, LoveLight Illuminations. The LoveLight Center is unique as it provides a sacred space in a portal of Divine energy. There are various energy rooms including a high vibrational one-of-a-kind vortex, and an event space that is energetically customized to provide the highest potential for the event or class that is being held. Below is a list of classes and events that are continuously held at The LoveLight Center. This is a gentle flow yoga class that combines simple poses with light guided meditation using the light centers to allow a unique and expansive experience for all levels. The light centers go beyond the chakras as they are in the outermost part of our energy field and physically hold our spiritual vibration. These classes are Divinely guided and are held in a sacred space. LoveLight Yoga is held with Italian LoveLight Yoga Practitioner, Marco Medri. $11 drop in. All levels welcome! We recommend signing up ahead of time, especially when class is held following a meditation or event, as there is limited space. Join us monthly for our guided Moon Meditation in sacred energy. We invite you to come to The LoveLight Center an hour early to experience the various energy rooms or to enjoy the Crystal Harp Sound healing (when the meditation is held on a Saturday). Come experience various crystals in the LoveLight energy! 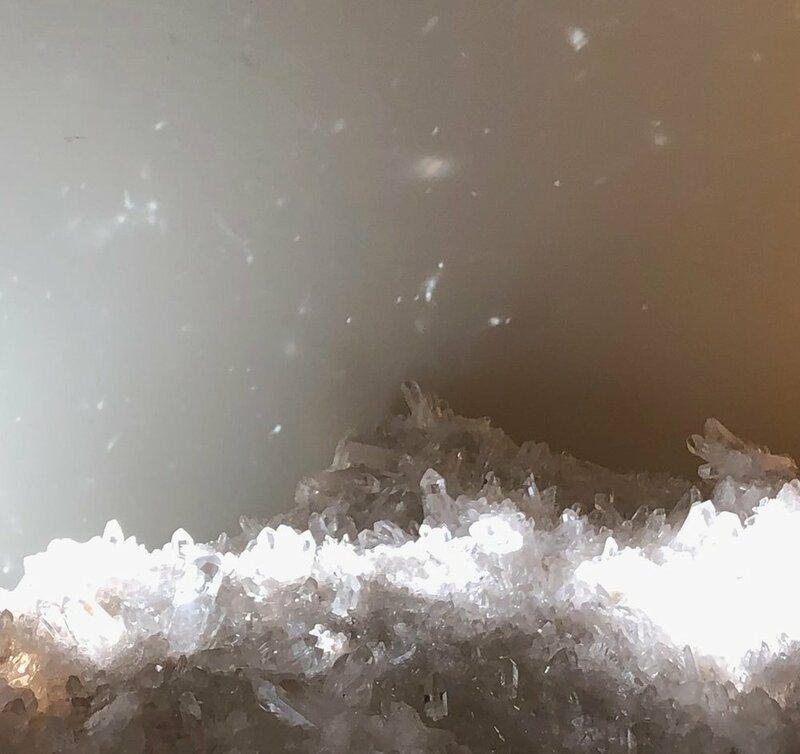 This workshop offers experiential healing with crystals. Enjoy an evening of exploration! $15 Event. All are welcome! Please sign up for this event. Learn To Work With Your Light Centers: If you've been introduced to your newly evolving light body or are simply curious about it, and would like to learn how you can work with your light centers, these two days are for you! Your light centers can be worked with through meditation, intention, and specific techniques to allow ease through healing, shifting, challenging situations, etc. The light centers hold our spiritual vibration here in this physical experience, allowing us to live from our higher vibration in our daily lives. Note: This two day workshop is different from the 4-day program, Evolving Into Your Light, in that it teaches you how to work with your light centers on your own (the 4-day is a powerful program running specific energy to develop your light centers and accelerate you on your spiritual path). This two day workshop works great following the 4-day program, but is open for whomever!